And in two weeks, I will finally be able to tell you what is going on. Share with you what I’ve been wanting to share for a couple of months. But until then, I’ll stuff my mouth with a handful of crackers if you ask. Because secrets and sort-of lies are not my thing. And if the stress of working around the clock with a huge amount of pressure to get things done and get them done well isn’t enough, the stress of being deceitful in any way is weighing on me in an unmeasurable way. So about these crackers! If I had known how easy it would be to make crackers from scratch, I’d have started doing that long ago! These crackers are full of whole grains and devoid of any preservatives or unreadable ingredients you get from your typical store-bought box. So even if you eat handful after handful to silence yourself, you are in a pretty good place. I got this recipe from the brand new Joy the Baker cookbook! I’ll be sharing a few more recipes over the next several weeks as I participate in a group of bloggers who have the opportunity to review Joy’s book. Given that Joy’s blog was one of the first food blogs I ever read, to say I was excited about this is an understatement. This is not your typical crunchy cracker. I tried cooking them a little longer after the fact to get some crunch and ended up burning them (guess 15 extra minutes without checking on them was a bit too long). I made smaller crackers (<1 1/2 inches x 1 inch each) and ended up with double the number of crackers. To win a free copy of Joy’s cookbook visit girlichef! This post is part of the Joy the Baker Cookbook Spotlight and Cook-Off sponsored by Hyperion and hosted at girlichef. I received a free copy of the Joy the Baker Cookbook but all opinions expressed are my own. You may be able to wait two weeks…but I can’t!! Aah the suspense!! Only good thing about this WAIT is these crackers. I think 5 handfuls should hold me over! I know, I hate being sketchy like this lol! Your crackers look just perfect! I love the black pepper flavor – it must have been great with a salty cheese. I love it! Can’t wait to try it with my Goat and cranberry cheese! I definitely should try making my own crackers. At least that way maybe I won’t eat 137 of them in one sitting once I think that I physically have to make more when I run out. And OMG I CAN’T WAIT!! I hate secrets!! I’m so nosey!! Why am I using so much punctuation?? I love homemade crackers! I bet these are awesome! I know! How can something so simple have such great end results? I love your little munching size crackers. I could grab that slab o’ marble there and have myself a happy little lunch :) . So excited that you’re a part of this Spotlight! Fantastic! I’m actually making my crackers right this very minute :)I love your blog and can’t wait to see what your news is?? Thank you so much for the nice note, Gerry! These look absolutely delightful!!! I’m eager to hear your news, but until then, I will also settle back with a handful of crackers and some of that cheese. Oh, and maybe a glass of wine! Beautiful images! I like where your head is! My goodness, Lauren. You are killing me! We really have to wait two weeks? Oooh! If this is reflective of what is in Joy’s cookbook, I need to get my hands on it ASAP! The book is AMAZING! I was so thrilled when I got my copy. You should definitely enter to win one and if you don’t win, it is worth buying. If this is from Joy The Baker’s cookbook, then it has to be good!! Fantastic recipe and it looks delicious!! Yummy crackers! Love the cracked pepper there. Can’t wait to hear what you are working on! Seriously 2 weeks? I am thinking it can 1 of two things Pregnant or maybe you are publishing a cookbook…either one is joyous. Can’t wait to see what the actual news is. I had no idea crackers were so easy to make. I’ve never made my own crackers, these look wonderful! I feel kind of evil/awesome/special that I’m in on this little secret. Can’t wait for the BIG REVEAL! Those crackers do look pretty awesome. Who knew they would be so easy? Well you are awesome AND special! I have flaxseed crackers on my weekend to do list! Yours look absolutely perfect. Every recipe I’ve seen posted from Joy’s cookbook sounds incredible. I can’t wait to get my hands on it! Thanks, Mary! The book really is great. I can’t wait to share the other recipes I’ve made! Okay. Given that I just went and spent £4 (which is like $8!!!) on crackers this AM, I think I probably do need to start making my own!! Lucky girl getting to review Joys book – how awesome!! Wow! Those crackers look store-bought and fairly easy to make. Now I have a Fresh Market around the corner, it may be easy(er) to find these ingredients. Hmmmm. I like the sound of these crackers and I have all the ingredients. Gotta try making these, yours look perfect. Have a great day. Your crackers turned out beautifully. I love how they look as squares, and the cheese pairing looks perfect! 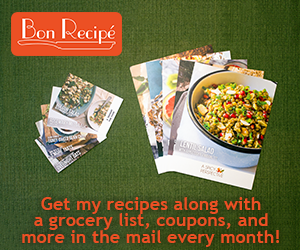 So glad to be sharing the cookbook challenge and spotlight experience with you. Looking forward to see what you pick for week 3! You know your pretty talented when you can make your own cracker. You rock! Thanks, Lora! And thanks for always leaving the nicest comments:-) Have a wonderful weekend! can’t wait to see what big secret you gonna reveal. oh, two weeks seems like such a long time! i love making crackers and these sounds so good! can’t wait to try them! These crackers look so good. I have been collecting homemade cracker recipes for a long time and still haven’t made any. I will finish off all the boxes of crackers I have on-hand and then start baking! Can’t wait to see what your big announcement is! I am on the edge of my seat! These look fabulous as I am craving crunch in a big way…Could these be made with a gluten free flour by any chance…or would it ruin the results? Thank you for such a consistently creative blog! I made the brownies. And wasn’t even going to think about the crackers until maybe another time…but now….I MUST make them. They look really good. These look fantastic and so healthy! :) Love it! Love these crackers and excited for your news! I chose Joy’s brownies for our first week’s selection but know I will be making this cracker recipe soon. I often choose a savory snack over a sweet one and a cracker with a bit of cheese is usually my first choice. Lovely post with great photos! Your crackers, as well as that cheese on the side, look incredible! I could easily make a meal out of crackers and cheese. Glad to be cooking along with you.